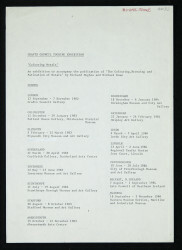 Poster for Crafts Council touring exhibition 'Colouring Metals', held at Crafts Council Gallery, 12 Waterloo Place, from 22 September to 7 November 1982. 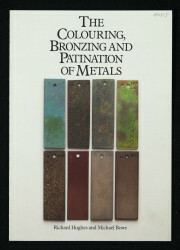 This exhibition accompanied the publication by Richard Hughes and Michael Rowe, 'The Colouring, Bronzing and Patinisation of Metals'. 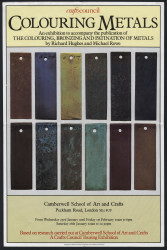 The poster, designed by Philip Miles, features a photograph by Ian Dobbie of coloured metal samples. Printed in England by UDO Litho Ltd.